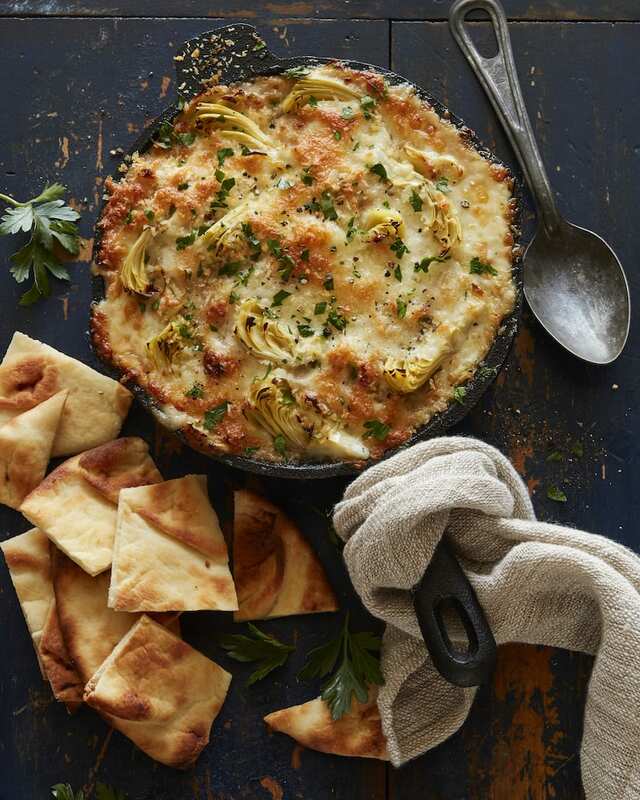 I’m all about the appetizer situation at any party and this Cheesy Artichoke Dip is my new go-to! Normally I’m a chips and guacamole kinda girl, but this fall season I’m going for a more seasonal approach with Cheesy Artichoke Dip and toasted Naan Bread for serving. 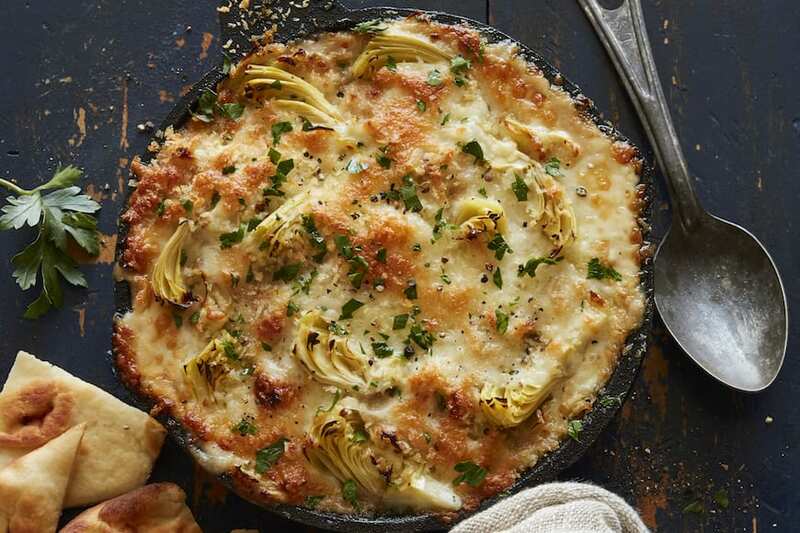 It’s loaded with tons of flavors from onions to garlic, parmesan cheese, LOADS of artichoke hearts, Gruyere, Fontina, and some breadcrumbs to give it a bit of a bite. I mean, hello… it’s everything you’ve ever wanted in life and more. Then add to that some toasted Naan on the side and it’s a recipe for success. I mean, come on. GET IN MY BELLY. Heat butter in a medium skillet over medium heat. When it foams, add onion and garlic, season with salt and freshly ground black pepper, and cook until onion and garlic are beginning to turn brown in color, about 6 minutes. Stir in flour and cook stirring constantly until no longer raw tasting, about 1 minute. Sprinkle in 3/4 cup of the Parmesan, pour in cream, and stir to incorporate. Add artichoke hearts, sour cream, and 1/2 cup of the Gruyère and fontina and stir until cheese begins to melt. Evenly spread the mixture in the skillet so it’s in a uniform layer and top with remaining Parmesan, Gruyère, Fontina and the panko. Bake until heated through, bubbling on the edges, and the cheese is melted, about 30 to 35 minutes. Let rest 5 minutes. Serve with Stonefire Naan for dunking. OMG. Artichoke dip is my weakness and this looks SO good. I would eat the whole batch if I could. I’d love to try this as a pizza sauce by finely chopping all the ingredients!!! Sounds amazing and will be trying it soon!! Can you make this the night before a party? yes – and then cover and refrigerate it and bake right before the party! Seriously, this looks amazing! I’ve got some artichokes calling me name! This looks so wonderful!! I am with you – I love to nibble away at all the appetizers!! This one is a sure winner. I LOVE naan, and I wish I had some right now so that I could devour all the cheesy goodness of that artichoke dip! Looks delicious! 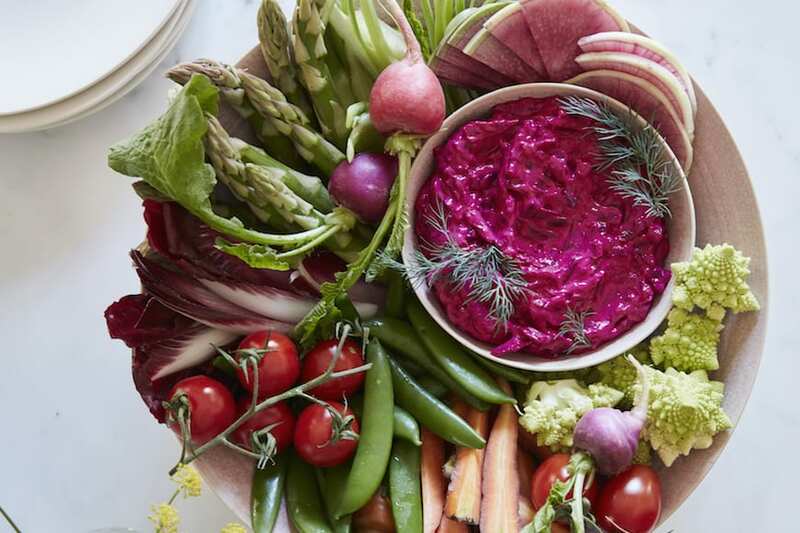 My mouth is watering over this dip! I can’t wait to serve this at my next get together! Artichoke dip is my FAVE. I love that you included gruyere and fontina- bet it’s super gooey and melty! Can you add spinach to this as well? If so when should you add the spinach in the cooking process. 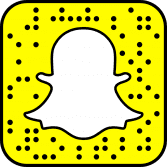 add it when you add the cheese!! I just made this tonight to have as an appetizer while we all prepped for our big Thanksgiving meal tomorrow. Every single person said it was one of the most amazing dips they have had. Thank you Gaby! You make cooking so fun! Love this! Can’t wait to make it over the holidays. Can you please tell me what size skillet that is? Is it just a 10″? Can I make this without the breadcrumbs? Or if not, what do you recommend that would be GF? 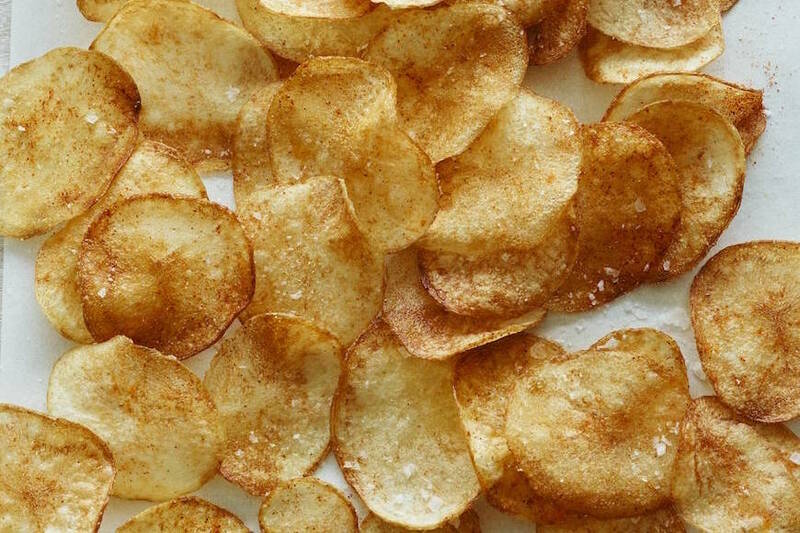 use GF bread crumbs and you’ll be golden! Is it necessary to cook this in a skillet to heat everything through? Or to keep it fully contained? I was thinking of making a football shaped bread bowl for the game, and was wondering if I could cook it in that. Do you think it would work? Artichoke dip is my favorite kind!!! This looks like exactly what I would expect from a Whats Gaby Cooking recipe!! A classic but fulllllllly loaded and elevated to that even more delicious level. This looks AWESOME! Aahhh, I love artichokes and this looks AMAZING!! I don’t do sports, but I’ll just take the dip, please! Just saw your video and can’t wait to make this: nice and cheese!!! This needs to be face planted!! This looks AMAZING. I’m thinking of bringing this to a tailgate, will it be okay if it cools down before serving? Not sure if I’ll have access to a heating source. what size skillet did you use Gabby? Just to clarify: In one response you said the skillet was 8 inch, then a few responses down you said it was 9 inch. It looks wonderful and want to follow, can you let me know the size you actually used? Thank you! This looks amazing, do you think the same recipe could work in a slow cooker? I’d love to bring this to a office holiday party but need it to be easy to transfer. Thanks! Hey! 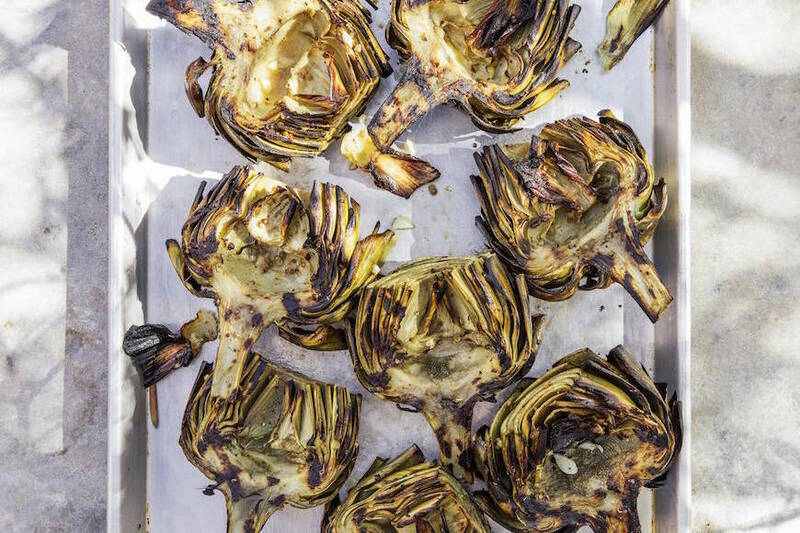 Are the artichokes the marinated ones in oil or plain? Making this on the weekend. I made this for my family over the weekend and it got such rave reviews. You know it’s a good recipe when my husband (who’s not the greatest lover of cheese) says it’s incredible. Will be making it again very soon! Thank you! 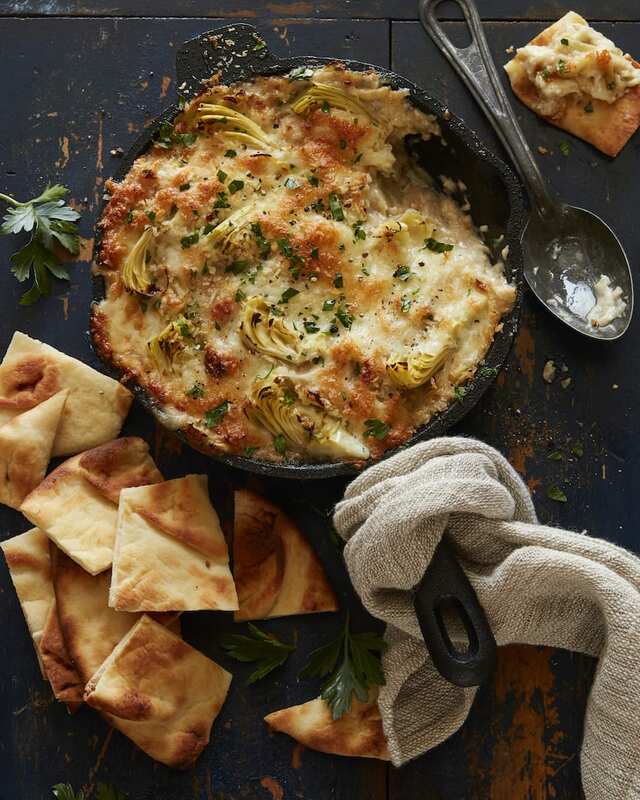 I have tried many artichoke dip recipes over the years and this is hands down THE BEST. I made it last night as an appetizer and we ended up eating it by the spoonful as a side dish with broiled salmon and a green salad. Thank you so much for sharing! Can you use the marinated artichokes? I happen to have two jars in my pantry… want to make this for our annual Oscars party!! yes but drain them REALLY WELL!